Maintenance Free! Our Custom Louvers are made with a wood frame and clad with 16 oz. Copper! - They arrive ready to install into any application (see our mounting options). 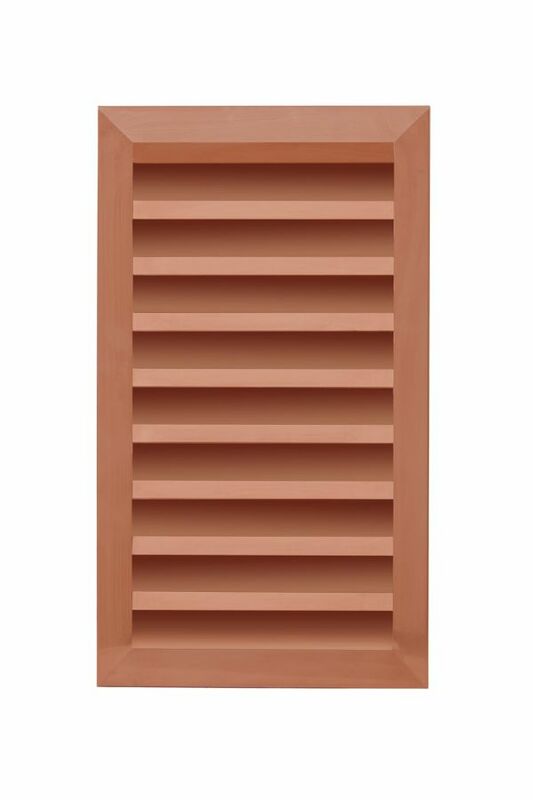 STANDARD MATERIALS & FINISHES FOR COPPER LOUVERS: Copper-16 oz. (23 gauge) 9x9 Fiber Glass Screen-charcoal colored 1" Depth *PLEASE NOTE* IF YOU HAVE AN EXACT OPENING WHERE YOU ARE INSTALLING A LOUVER THAT HAS A RADIUS, YOU MAY BE ASKED TO PROVIDE A PATTERN, UNLESS ALL SPECIFIC DIMENSIONS HAVE BEEN PROVIDED. CALL WITH ANY QUESTIONS! Due to shipping rules, if your Custom Louver is over 10 feet, we may have to make it in 2 halves with a center mullion. Should this be the case with your Custom Louver order, we will contact you after order is placed to discuss. OTHER SCREEN OPTIONS: *18x16 Aluminum screen-charcoal colored *Galvanized, Copper, and Stainless screens are also available! OTHER DEPTH OPTIONS: *1 1/2", 1 3/4", 2", 3", or 4" also available *Additional charges and time may apply, call 800-635-6448 to place your order.